The dynamic development of social media technologies and the way people use these systems require research to permanently adapt its theoretical and methodological approaches. 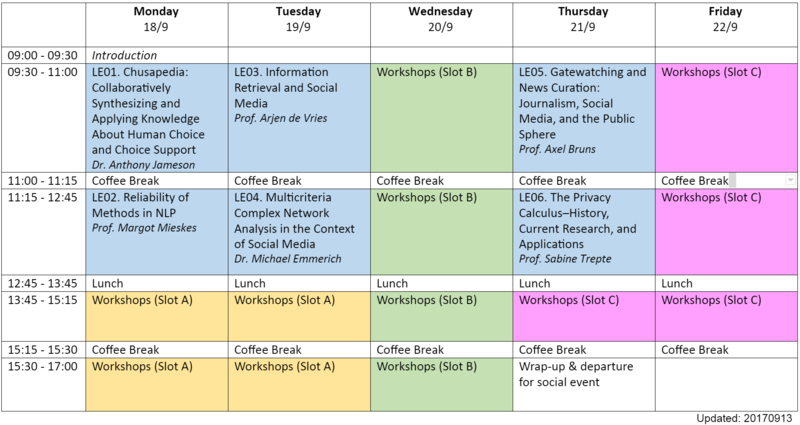 To address these challenges, the research training group "User-Centred Social Media" at the University of Duisburg-Essen (funded by the German Research Foundation) organizes an international summer school inviting junior and senior scholars to work on various topics in the field of social media. This summer school is intended to bring together established issues in social media research such as recommender systems, credibility, and the negotiation of online privacy as well as hot topics such as fake news, the effects of social bots, and argument mining online. For this purpose, eminent international scholars will be invited to share their expertise in the form of lectures. During the summer school week, students will also participate in workshops developing case studies, study designs, theoretical models, or extending their methodological knowledge through hands on-practices. The International Summer School 2017 invites PhD students from the universities of the Ruhr Alliance and PhD students from other universities to participate. Participation in the summer school is free for all external participants (PhD students who are not members of the UCSM Research Training Group). For those who want to stay overnight, accommodation at the venue (Jugendherberge Duisburg Sportpark) will be covered. The summer school is organized into plenary and workshop sessions. Plenary sessions are reserved for lectures (two each on Monday, Tuesday, and Thursday mornings). There will be three workshops slots, with multiple workshops running in parallel. Each student will have the opportunity to attend three workshops during the summer school—one during each slot. Prof. Axel Bruns is an Australian Research Council Future Fellow and Professor in the Digital Media Research Centre at Queensland University of Technology in Brisbane, Australia. He is the author of Gatewatching and News Curation: Journalism, Social Media, and the Public Sphere (forthcoming 2017), Blogs, Wikipedia, Second Life and Beyond: From Production to Produsage (2008) and Gatewatching: Collaborative Online News Production (2005), and a co-editor of the Routledge Companion to Social Media and Politics (2016), Twitter and Society (2014), A Companion to New Media Dynamics (2012) and (2006). His current work focusses on the study of user participation in social media spaces such as Twitter, and its implications for our understanding of the contemporary public sphere, drawing especially on innovative new methods for analysing 'big social data'. His research blog is at http://snurb.info/, and he tweets at @snurb_dot_info. See Mapping Online Publics for more details on his research into social media. 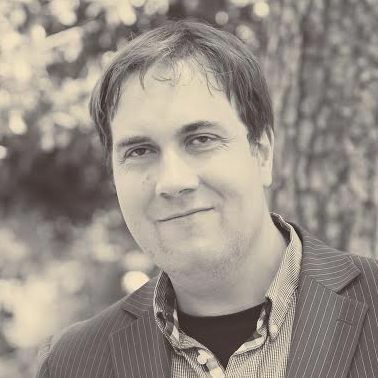 Dr. Michael Emmerich is Associate Professor at LIACS, Leiden University, The Netherlands, and leader of the Multicriteria Optimization and Decision Analysis research group. He was born in 1973 in Coesfeld (Germany) and received his doctorate in 2005 from Dortmund University (H.-P. Schwefel promoter). He coordinated research projects as a researcher at ICD e.V. (Germany), IST Lisbon, TU Dortmund, University of the Algarve (Faro, Portugal), as well as various research institutes (FOM Amsterdam, CASA/ICD e.V. Dortmund, ACCESS e.V. Aachen). As an expert on algorithms and data analysis he did research visits and invited talks at prestigous universities, including Princeton University and Cambridge University. He has edited 4 books, and co-authored more than 120 papers in data analysis, complex networks, multicriteria optimization, of which five were awarded by a best paper award. 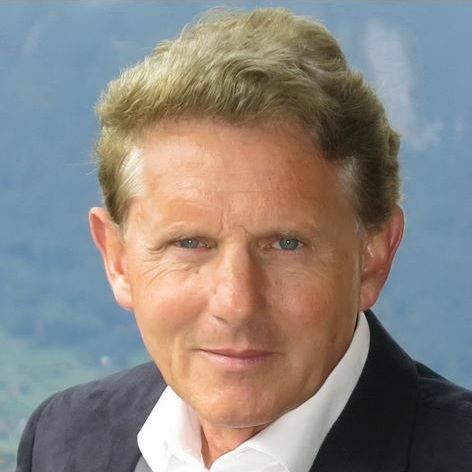 Michael Emmerich is co-developer of state of the art algorithms in his domain, such as the SMS-EMOA (Multiobjecive Optimization) and OWCK (Big Data Regression). As a teacher he co-designed university courses for Multiobjective Decision Analysis, Databases, and Complex Networks. Dr. Anthony Jameson has conducted research on a number of aspects of interactive intelligent systems, working at the intersections of psychology, artificial intelligence, and human-computer interaction. He has been principal researcher at the German Research Center for Artificial Intelligence (DFKI) and founding coeditor-in-chief of the ACM Transactions on Interactive Intelligent Systems. In order to focus on the type of work discussed in his talk, he recently founded the startup Chusable AG. Prof. Margot Mieskes is a Professor for Information Science at the University of Applied Sciences, Darmstadt. Her research aims at extracting information from natural language sources (both written and spoken) for interdisciplinary applications of NLP. She did her PhD at EML Research, Heidelberg in collaboration with the University Erlangen-Nuremberg on the summarization of Multi-Party-Dialogues. Afterwards, she developed industrial applications for speech synthesis and speech recognition, before returning to academia. 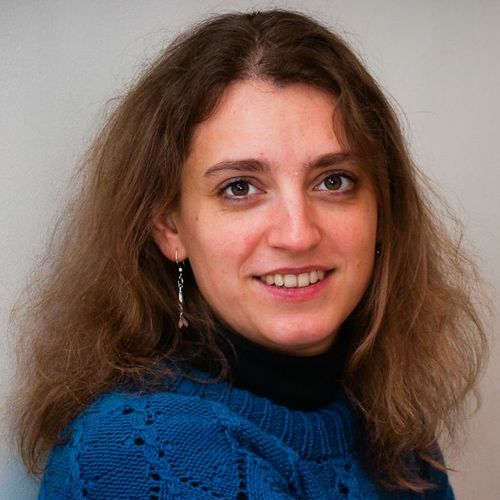 Currently she works on applying NLP methods to improve psychotherapy (PARANOIA) and is an associated researcher in the DFG-funded research training group on the adaptive preparation of information from heterogeneous sources” (AIPHES). In the past years she also looked into issues concerning availability of NLP resources and replicability of NLP experiments. 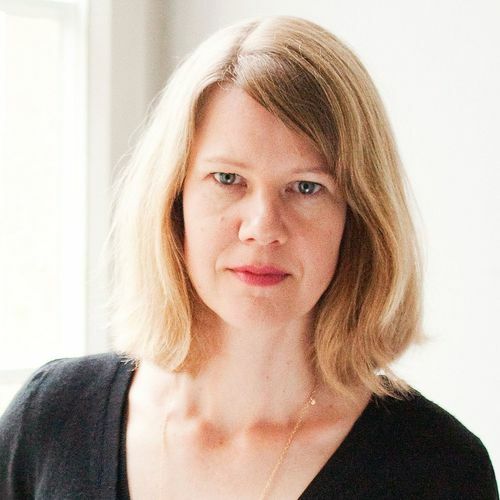 Prof. Sabine Trepte is a full professor of Media Psychology at the University of Hohenheim in Stuttgart, Germany. Sabine investigates human behavior at the intersection of psychology and online media, centering on how online use changes our understanding of social support, self-disclosure, and privacy. She investigates online privacy with large-scale projects—for example, with a representative 5-year longitudinal study on privacy, disclosure, and social support. She is also conducting experiments with mock-up social network sites to investigate privacy behaviors. Sabine holds an M.A. in psychology and received her Ph.D. in Media Psychology. She has published several academic books (e.g., Privacy Online: Perspectives on Privacy and Self-Disclosure in the Social Web (2011)), chapters, and journal articles in the field of media psychology and privacy. Prof. Arjen P. de Vries was born in 1972 in Laren, North Holland, The Netherlands. He completed his Master's degree in Computer Science (with honours) at the University of Twente in 1995. Four years later, he obtained his PhD diploma for research on Content and Multimedia Database Management Systems. 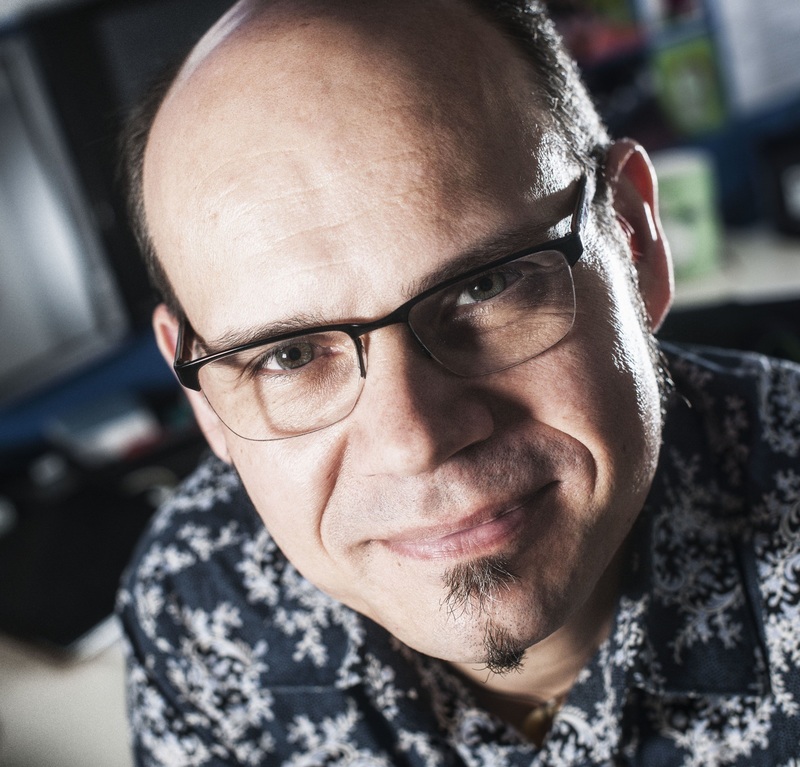 Since 1999, Arjen de Vries has been working as a researcher at the Centre for Mathematics and Computer Science (CWI), where he leads the research group Information Access. In 2008, Arjen de Vries was appointed Professor of Multimedia Dataspaces at the Technical University of Delft. He is a founding member of Spinque, a CWI spin-off that focuses on developing search technology for information specialists. 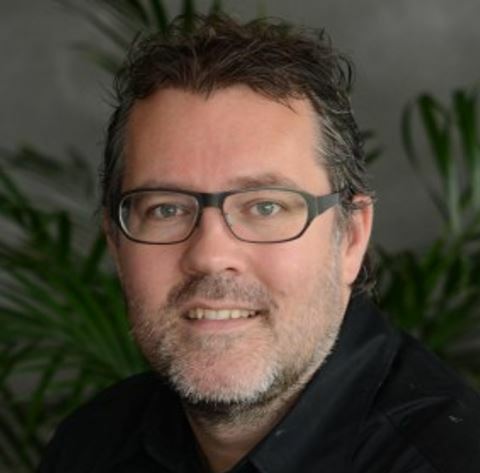 In November 2015, Arjen de Vries was appointed Professor of Information Retrieval at Radboud University Faculty of Science. Nowadays, people make many of their everyday choices with the help of social media and other interactive applications. But the influence of these applications is neither well understood nor always positive. What we need is (a) a coherent, research-based conceptual framework for understanding how people make choices and how these choices can be supported and influenced by interactive applications; and (b) computational support for applying this conceptual framework to the analysis and design of applications that people use when making choices. The results of my efforts to fulfill the first requirement are now available in several publications. Work on the second requirement began just this year with the initiation of the Chusapedia project. The core component of Chusapedia is a collaboratively built semantic wiki that synthesizes and coherently formalizes a wide range of knowledge about human choice and choice support. The wiki platform makes it possible to include a wide range of knowledge that is specific to particular types of choice problem or to particular application domains, leveraging the expertise of people with a variety of backgrounds. The second main component of Chusapedia is a set of interactive applications that make use of the knowledge represented in the semantic wiki to support researchers and practitioners in analyzing choice situations and designing interventions that help people make better choices. In this talk, I will introduce and demonstrate both components of Chusapedia, explaining how members of the UCSM program can both benefit from and contribute to this ongoing project. The analysis of social media data is a tool often employed in online marketing and social media marketing, with a fine line between use and mis-use. A lof the available tools are black boxes for those who use them. In research we try to be open about our algorithms by publishing relevant information in papers and the respective code on github and the like. This would—in theory at least—allow others to replicate our experiments and further develop and improve them. The reality looks slightly different though. In NLP, as well as in other scientific areas, we have a huge problem in terms of reproducibility and replicability. More often than not data and/or code has not been published, even though this was announced in the accompanying publication. Often, there is not enough information given to re-implement a given method. But nevertheless, results from these publications are cited and re-used to compare to new data sets. Additionally, these methods end up in said black boxes and are used for example in juridical decision making processes. Various questions which should be addressed and discussed in my lecture arise from this: How do we treat data, methods and methodological parameters to ensure reproducibility and therefore, validity of our methods? What does it imply if we develop methods based on social media data and how can these be re-used? How could or should we treat data gathered from social media channels in terms of representativeness, reproducibility and data protection? Social media allow their users to interact with each other, for example in collecting and sharing so-called user-generated content - these can be just bookmarks, but also blogs, images, and videos. Examples include Twitter, Facebook, YouTube, Linked-in, and Wikipedia. Social media support co-creation: processes where customers (or users, if you prefer) do not just consume but play an active role in defining and shaping the end product. The significant variation in types of content and features for interaction create a challenge that has not yet been addressed by a single, unifying retrieval model over social media, and we have only little understanding of desirable features like combining tag usage and ratings in content recommendation. At the same time, social media form a huge opportunity for personalized search: social media platforms tend to provide access to user profiles, connections between users, the content these users publish or share, and how they react to each other's content through commenting and rating. Also, the large majority of social media platforms allow their users to categorize content by means of tags (or, in direct communication, through hash-tags), resulting in collaborative ways of information organization known as folksonomies. Data derived from social media form a key component to enable new research and insights, and I will discuss results from research centered on Wikipedia, Facebook and Twitter data, as well as a diverse range of information sources, including the geo- and temporal information derived from images and tweets, product reviews and comments on Youtube videos. Complex Network Analysis is an emergent cross-disciplinary researh topic, which investigates the topology and dynamics of large real-world networks consisting of nodes and links between these nodes. The talk will introduce well defined network metrics. We will look at centrality, community, takeover, and resilience and it will become clear that in order to fully understand and modulate network dynamics multiple metrics should be considered in combination. In this talk we will focus on social media networks and economical networks. Typical problems and solution methods or computational limitations will be adressed. Moreover the talk will critically assess the role of complex network analysis in social media analysis and discuss how this theory can be used or abused to control/understand information flow and to influence such networks. The concept of gatewatching emerged in the early 2000s, as a counterpoint to conventional journalistic gatekeeping, to describe the practices of bloggers and citizen journalists, who predominantly observe and comment on the stories published by mainstream news sites rather than engaging in their own original news reporting. Subsequent developments, including especially the advent of several globally adopted social media platforms including Facebook and Twitter, have served to further establish gatewatching practices: adapted to the specific affordances of these social media spaces, gatewatching processes on these platforms have arguably become even more widespread and influential. Social media users now engage almost instinctively in collective and collaborative gatewatching processes as they respond to major breaking news stories, as well as in their day-to-day sharing of interesting articles with their social media contacts; existing media outlets are increasingly seeking to maximise the shareability of their stories via social media, and a number of new players (such as Buzzfeed) are fundamentally built around providing ‘viral’ content, thus in essence optimising their offerings in anticipation of audiences’ evaluation and selection of content through gatewatching; and the new channels of news diffusion via social media which are emerging in the process may in fact require us to fundamentally change how we conceptualise the structure of the public sphere. This lecture outlines how gatewatching and related citizen-journalistic practices evolved over the course of the past ten years, and develops a framework for understanding news production and engagement in the present environment, where social media play a crucial role as disseminators of news and information. The privacy calculus was first suggested by Laufer and Wolfe as early as 1977 in their theory of the "calculus of behavior", in which the authors argued that people constantly try to minimize the potential risks of self-disclosure because they are well aware that their statements and behaviors might be "recorded" (p. 35). As a reaction to the rise of online-media applications, the privacy calculus has received enormous attention in social media research. The idea of the privacy calculus has become one of the most important theories for explaining online disclosure: The two main factors that determine self-disclosure are privacy concerns and expected social gratifications. The calculus has been investigated with regard to social network sites, location-based services and e-commerce. Communication scholars constantly refine the privacy calculus, for example, they currently investigate how contextual factors influence how users calculate risks and benefits. Critics hold that the privacy calculus is a rational choice paradigm falling short to explain the many facets of disclosure; or other, that research does not sufficiently address the process of how benefits and concerns are calculated. In the UCSM lecture, we will take into account both, the calculus' merits and flaws. We will go on a journey through the calculus history—from Laufer and Wolfe until today—and throw a glance at its potential future developments. WS02. Increasing Privacy in Online Communication – Empowerment or Paternalism? WS07. Approaches to Researching "Fake News"
Social media are known to be rife with rumours, where along with the circulation of valuable information and fresh news, users also post about and spread information that is yet to be verified. Twitter has become one of the main online platforms to access information that is updated in real time. However, the fact that it is not moderated and anyone can post and share tweets gives rise to rumours. An approach that is increasingly being used to alleviate the effect of rumours is stance classification, which aims to determine the stance of individual posts discussing a rumour, defined as a classification problem that classifies each post as supporting, denying, querying or commenting on the rumour. In the workshop we will learn what rumours are. We will also learn the technical steps to determine, track and verify rumours. There will be hands-on on rumour stance classification and verification. The hands-on will be in GATE (see prerequisites below). The workshop is open for anyone interested in Social Media analysis. There is no requirement for programming or similar technical skills thus participants from non-computing courses are well served in this workshop. After the workshop you will have good understanding what rumours are and what you need to do in order to verify them. New information and communication technologies have changed the ways in which people handle their privacy. Because digital information is persistent, replicable, and searchable, it can easily spread to unwanted audiences, thus causing new psychosocial challenges for everyone involved. In order to help people navigate social media safely and successfully, two options are currently being discussed: First, increasing privacy literacy – for example, by teaching people about privacy laws, data self-protection, or data collection practices. Second, strengthening system data protection – for example, by offering more privacy enhancing technology (PET), implementing privacy-by-design, or enforcing stricter privacy laws. Arguably, increasing privacy literacy makes users more self-determined. On the positive side, this fosters agency; on the negative side, it increases responsibility. Likewise, strengthening system data protection makes users more "other-determined". On the one hand, this relieves users of the burden to protect themselves; on the other hand, it also limits their freedom. The question arises: If a third entity intervenes in this process – for example, when the government offers privacy literacy trainings or introduces PET – can we regard this as an empowerment of the user or does it rather represent an act of paternalism? Thus far, this discourse is mostly academic. Yet, the most important question remains unsolved: What does the user want? In the workshop, we will (1) discuss the topic theoretically, and (2) develop concrete empirical study designs hands-on. Ideally, some of the designs will be put into practice by a subsequent joint research collaboration. 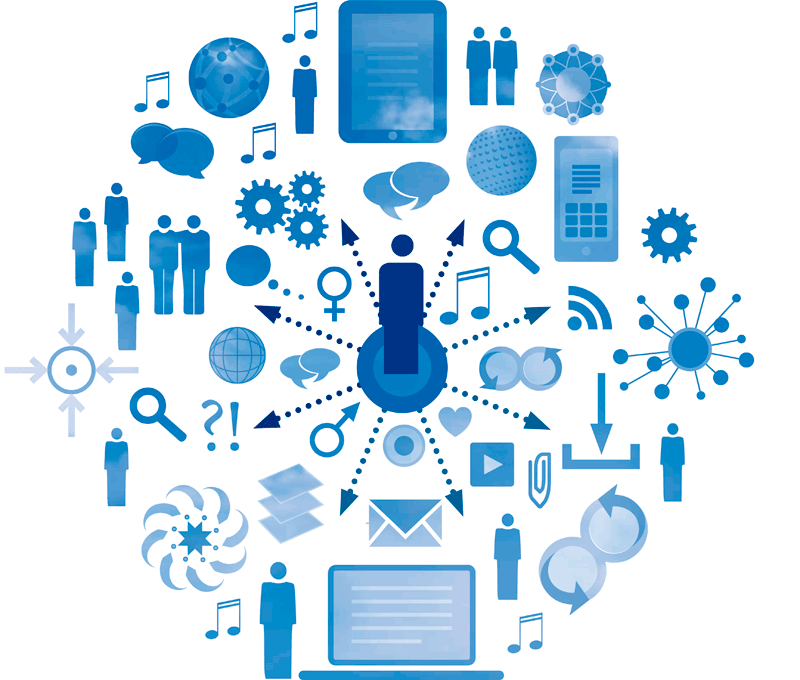 Numerous research questions require knowledge about social media usage patterns and how these relate to either effects or personality of the user. Therefore, it is necessary to reliably and validly assess usage patterns. As objective measurements often are not feasible, self-report measures are a frequent choice. In the workshop, several instruments for assessing (social) media usage patterns (either in combination with assessing personality and motives or with potential effects of (social) media use) will be presented and discussed. In a hands-on way, these instruments will be adjusted to individual research questions. The workshop is either targeted at PhD students who have not been trained in empirical methods and survey research but plan to use questionnaires in their research endeavor or do not have a background in media psychology but plan to assess media usage patterns in a valid and reliable way based on media psychological theorizing. Social Network Sites (SNSs) like Facebook or Twitter have radically redefined the mechanisms for social interaction. One of the main aspects of these platforms are their information sharing features which allow user-generated content to reach wide and diverse audiences within a few seconds. Such content contributes directly to the profitability of SNSs, and makes them interesting spaces for people to engage with. However, these platforms are not free of privacy breaches such as identity theft, phishing, or cyber fraud. Therefore, privacy enhancing technologies play an important role in the development of SNSs that preserve the individuals' rights to decide what information about themselves should be communicated to others and under which circumstances. This workshop aims to provide an overview of different approaches for preserving users' privacy inside SNSs. Since privacy is a broad and complex problem, different technologies rely on different social and technical assumptions in order to provide partial solutions to a problem which is larger in practice. In this workshop, the participants will learn how to identify and analyse privacy problems and develop appropriate solutions. As a practical exercise, the participants will design an application for smartphones (app) taking into account privacy considerations such as the EU General Data Protection Regulation (GDPR), risk management, and privacy best practices. This app will be dedicated to runners who want to track their fitness progress and share it with their friends. Social media provide a new infrastructure to easily share and produce content such as text, links or images. In this environment bots can spread information to human users even without being disclosed as pieces of software. Bots are defined as "software designed to act in ways that are similar to how a person would act in the social space" (Abokhodair et al. 2015). Be it the Brexit, the Arab Spring, Brazilian Protests or elections – social bots increasingly participate in communication on public social media. Goals they are following might be to influence political debates or to influence brand-related communication. Among others, political actors, governments or companies might use social bots to manipulate the public opinion, to heat up debates or to muddy issues. In practice, social bots can follow different goals. On the one hand, they can perform tasks such as (re)posting news or automatically share updates (e.g. about the weather) in a conversational (human) tone. On the other hand, bots could be used to imitate human behavior and to spread incorrect information, spam or viruses. The objective of this workshop is to identify and to investigate social bots. In order to do so participants will get input about the current state of research on social bots and will use empirical data to answer research questions that are related to social bots. Participants should be willing to invest time on the topic before, during and after the workshop in order to create a publishable article as an outcome. This workshop gives an overview of eye tracking as a method for analysis as well as for interactive purposes in social media systems. It starts with an introductory part on the human eye, its movements, the technical background of eye trackers and its implications on eye tracking, including limitations. Qualitative and quantitative methods for eye tracking based analysis will be discussed. PhD students will then get the chance to be involved during a live demo recording (e.g. participant reading a twitter feed), to get a grasp of the procedure and data output of eye tracking experiments. In a second part, eye tracking as an additional human-computer input device for innovative interfaces is presented. We will show interactive eye tracking using examples of the DFG-research project ebiss (eyetracking based interaction management for synchronous text communication) and outline possible use cases for social media systems. The workshop ends with an open discussion about potentials and limitations of eye tracking in relation to the work of the participants. "Fake News" has been one of the key terms to emerge from the elections and referenda of 2016 and 2017: there is now a substantial concern that various state, political, and independent actors are attempting to disrupt electoral processes around the world by circulating mis- and disinformation to distract voters and skew public opinion. However, the term "fake news" remains poorly defined, and there are considerable questions over whether it represents a phenomenon that is substantially different from conventional political propaganda. How, then, might we approach the study of "fake news"? This workshop explores a number of possibilities. Focussing on a number of Websites frequently accused of engaging in highly biased reporting, spreading propaganda, or publishing "fake news", we explore, first, the use of the Google-supported Global Database on Events, Locations, and Tone (GDELT), an up-to-date source of data on news coverage around the world. Working in groups, we develop a number of approaches to assessing the networks of "fake news" sites and their connections with more mainstream news sources. This may enable us to explore common pathways for "fake news" stories into conventional news coverage, and to identify the key sources of such stories. Second, for a list of suspected "fake news" sites identified by the Hoaxy research project, we examine how frequently their articles are shared on Twitter, and by which accounts. Here, we pay particular attention to possible bots and bot networks that deliberately mimic ordinary user behaviours in order to give the appearance of strong public interest in a given story or site (representing common astroturfing and sockpuppeting approaches). Emerging from this work is a better understanding of possible approaches to researching the nebulous phenomenon of "fake news". Vargo, Chris J, Lei Guo, and Michelle A Amazeen. 2017. "The Agenda-Setting Power of Fake News: A Big Data Analysis of the Online Media Landscape from 2014 to 2016". New Media & Society, June, 1–22. doi:10.1177/1461444817712086. Benkler, Yochai, Robert Faris, Hal Roberts, and Ethan Zuckerman. 2017. "Study: Breitbart-Led Right-Wing Media Ecosystem Altered Broader Media Agenda". Columbia Journalism Review. March 3. (Link to article). Visual attention plays a major role for human behavior. Eye tracking is an important method to examine these attentional processes in human information processing and decision making. It is based on measuring eye movements via video-based devices (i.e., eye tracking systems). Eye tracking has been applied to various contexts such as advertising research or usability testing. The method has become increasingly popular due to recent developments such as remote eye tracking systems, which can be used unobtrusively in the laboratory, and mobile systems, which can be used in field research. This workshop addresses PhD students who are interested in using eye tracking as a research tool. The objective is to enable participants to do their first steps with eye tracking in their own research. In the workshop, we will present basic knowledge about attention and its role for human behavior. We will illustrate this by discussing case studies from eye-tracking research. A major part of the workshop is to provide hands-on experience with eye-tracking. By running a short study during the workshop, participants will learn how to set up experiments, how to collect data, and how to analyze eye tracking data. Note: Prof. Dr. Andrea Kienle offers another eye-tracking workshop (i.e. WS06). Each workshop has a different and complementary focus, and we will minimize overlap between both workshops. Thus, interested PhD students may visit one of the workshops, but may as well visit both workshops.